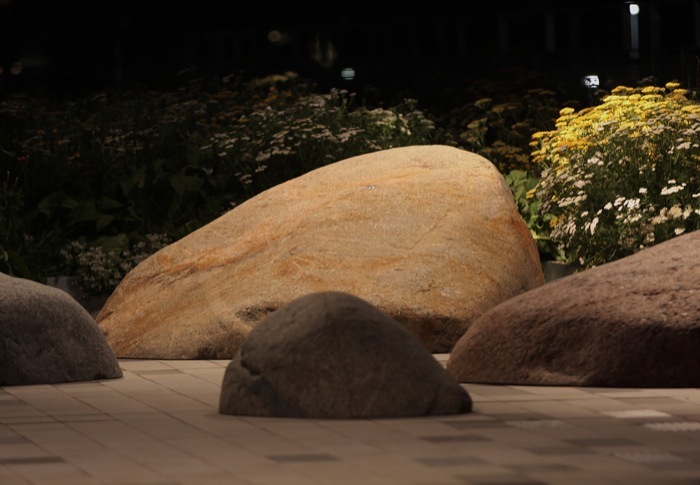 Hans Rosenström’s artistic practice combines site-specific, spatial installations with sound, text, light and constructed elements. 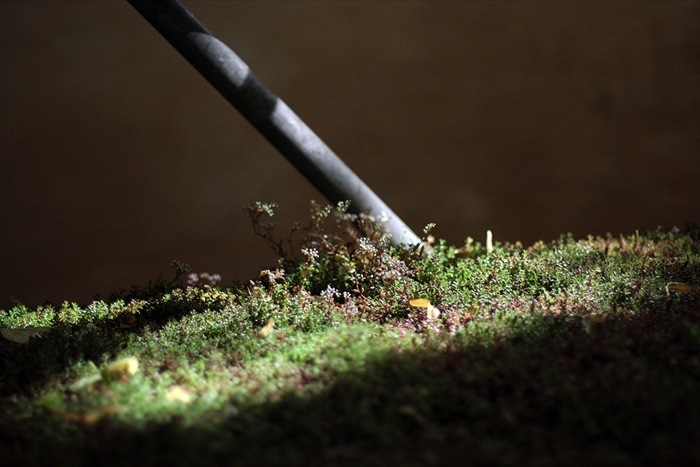 Questioning the place of the viewer in his installations, Rosenström sees their presence as pivotal for the existence of the work and only then an allowing for a psychological and physical experience within a specific moment or space can exist. 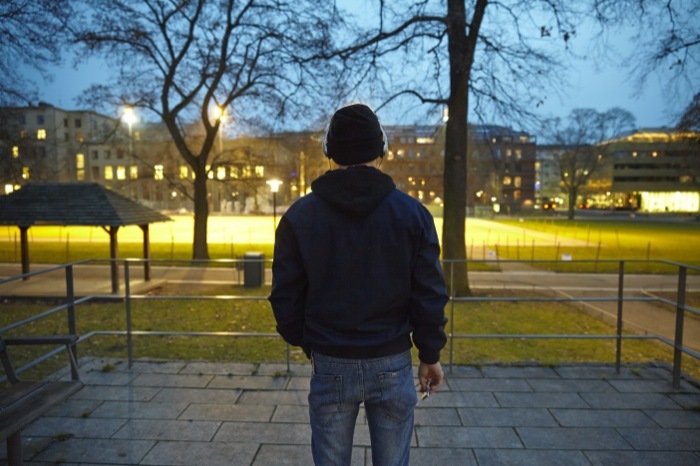 This exploration of our physical surroundings provokes an emotional response, addressing and contemplating issues of isolation, group cohesion, privacy and spectatorship. Rosenström’s recent solo presentations include Helsinki Contemporary, Moderna Museet Stockholm, and he has taken part in exhibitions at Palais de Tokyo Paris, Bonniers Konsthall Stockholm and Kiasma Helsinki, as well as biennials and festivals including Narracje Gdańsk, Momentum Voss, Biennale of Young Artists Tallinn, and Steirischer Herbst Graz. Off seasons comes out from a collaboration with Stormglas (Andreas Borregaard and Mikkel Sørensen). The project is a 9 channel sound installation building up a minimal landscape that that balances between nurture and neglect, springs from the cyclical conditions that appear in nature and our culture’s constant strive to cultivate and master them. 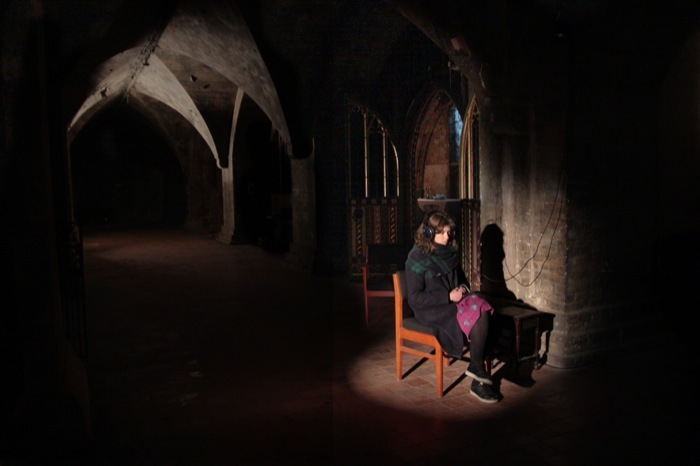 Some Bodies Language is a site-specific recording which plays on our perceptions of the space. 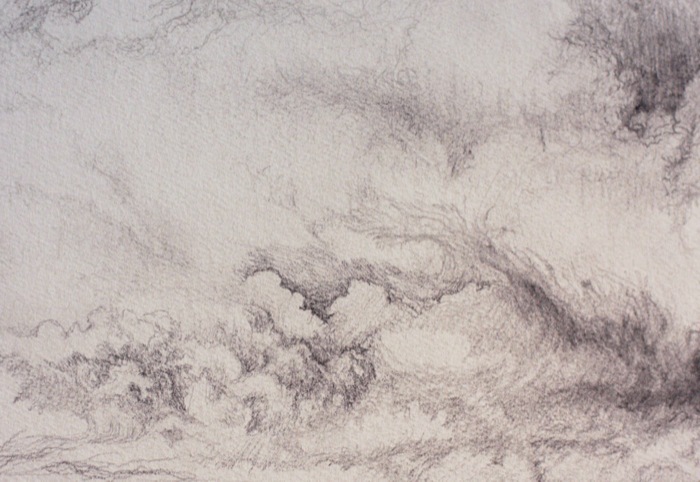 The work is visually and audibly activated by the viewer and only exists in that moment. Through a perceptual experience of movement and rhythm, it weaves an invisible structure between the listener, the space and other presence. Looking at the landscape, the movement of people and the city through the window reminds us of the gap between the self and others. Always separated, yet always entwined. From the top floor utilizes the viewers body and the window frame as a metaphor for the mind and the eye. The mind it seems, is never isolated but constantly triggered and formed by outer stimuli and sensory input. By making the viewers presence a significant part of the art itself the sound piece dwells on the question of what is consciousness and where in the midst of it all is. Ett kluvet hus: den ena shows two dancers filmed in the exact same location and from the same angle as the videos are viewed in. Through their movement from screen to screen the dancers lead the viewers through the rooms of the gallery. The choreography is built from a sequence of words which indicate human relations like – Trust – exploit – doubt – so forth. Each word carries a consequence and the following word is a result of the previous one as each movement is a reaction to preceding action. Eventually the movements form a loop and start over from the beginning until at one moment there is a break where after which they cannot unite, where one of the persons stays behind the other, walks through the open door finding her self behind the ‘coulisse’ in a different space. 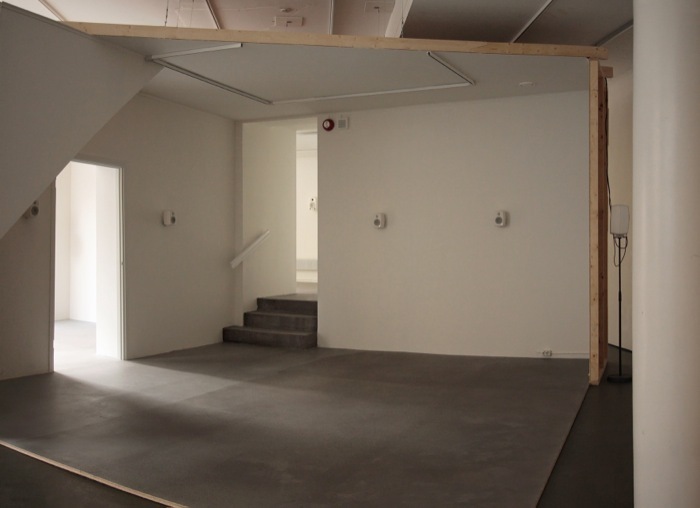 The sound work was presented inside a constructed space, a mirrored copy of another gallery room, where the other part of the exhibition Ett kluvet hus was experienced. 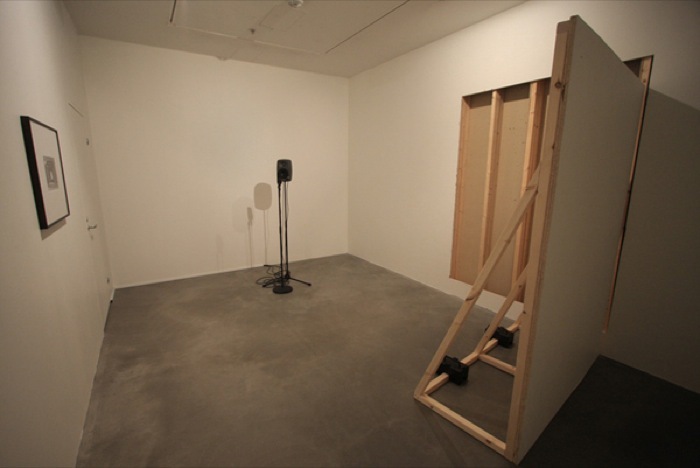 The sound is a dialogue between two voices, one voice could be heard from speakers inside the constructed space as the other voice existed only outside the constructed walls. During the course of the dialogue it gradually transformed into a synchronised monologue where eventually the voices transcend the boundaries and merged. They were no longer separated from one another. Site-specific sound installation in three parts. 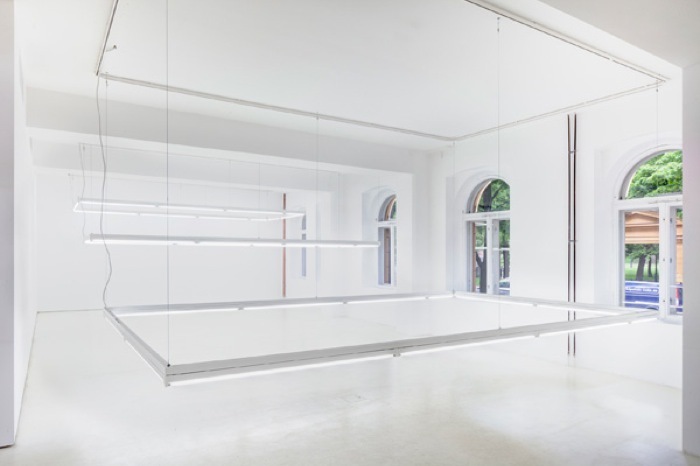 The group exhibition Art of Memory did not only take place inside Bonniers Konsthall but spread out to 5 different locations as well. The sound work, I As Witness, was divided between three sites: The Vasa Park, The Jewish Museum and The Stockholm City Library. Thinking about the body as a container for past experiences and memories, Rosenström felt obliged to include the park, which is an active place, in relation to the two others sites that are more straight forward archives and represent memory through documents or written texts. In all three cases memory is a balancing act between the conservation and construction of it. In Good Faith, is made up of a framed black and white photograph showing the stage where the last public reading by Pasolini took place in October 1975 at the Italian Culture Institute in Stockholm. Next to it stands a loudspeaker paired with a microphone. The loudspeaker plays the 1948 Universal Declaration of Human Rights repeatedly. For each time the recording has incorporated a new layer to it: the microphone picks up not only the voice reading, but also other sounds present in the space. The echo of the room, and the viewers presence with in it, gradually transforms these once carefully chosen words into a bare sound. Att Veckla Ut (To Unfold), was a site-specific installation using mirrors and light creating illusions of other possible rooms. It was made on the second floor in a building downtown which had stood vacant for a long time. 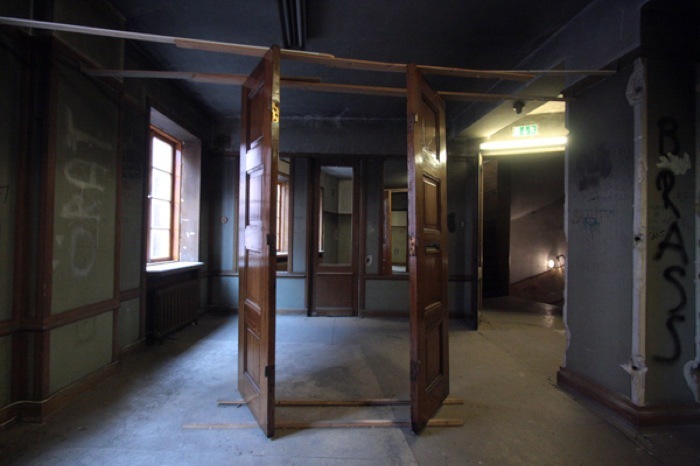 For the first floor of the same building Rosenström remade the sound installation Du Utan Jag (2011) and on the third floor presented the sound installation Efterklang (2011). installation, site-specific installation, mirrors and light. 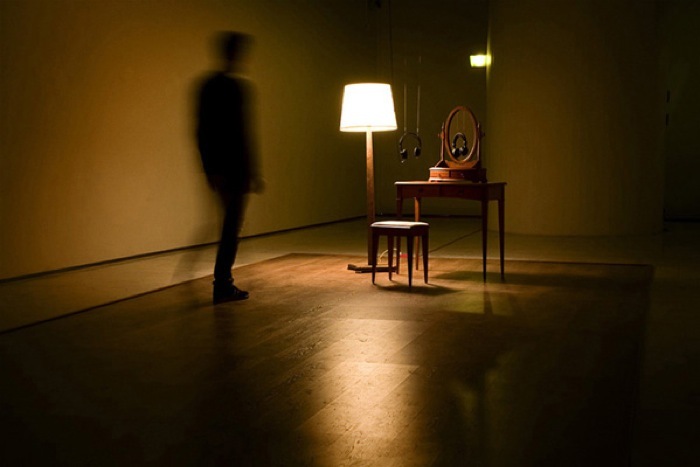 Mikado is a sound installation based on a scene from Cries and Whispers, an Ingmar Bergman movie from 1972. The work is experienced by one person at a time. Mikado presents a new angle to the dialogue where content has been modified to an idea about personal transformation. The viewer becomes a part of the narrative and faces her self through the text. The work was originally recorded in Swedish in Kluuvi Gallery (Helsinki), together with the actor Oskar Pöysti. Since then Mikado has been made several times in different settings. The work is always recorded on site, usually together with a local actor in the local language.